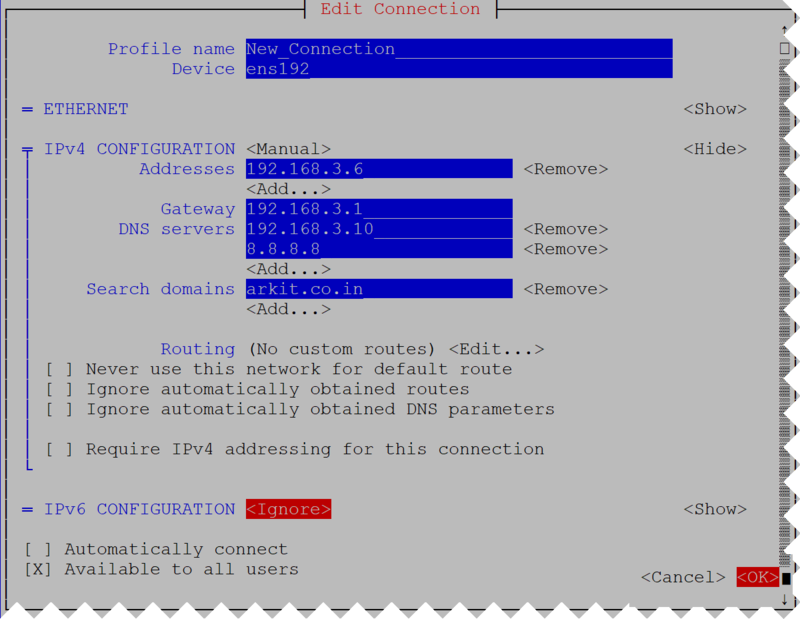 In this post we are going to see about HowTo Assign Static IP Address RHEL 7 without editing config file. See this Network profiles you can understand better about creating connections. Actually in RHEL 7 Or Centos 7 you can create N number of profiles which are like set of IP configuration, anyone one of the profile can be activated. 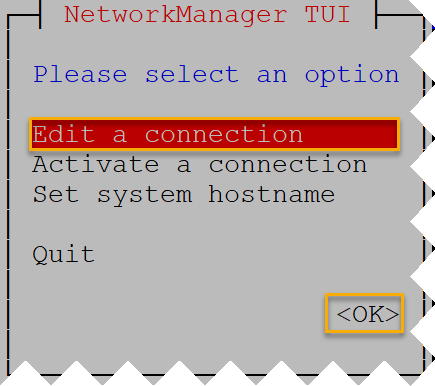 As like RHEL 5 or RHEL 6 no need of editing configuration file to assign static IP address, using nmtui, nmcli or even GUI tools you can simply assign static IP address. Connection 'home' (432ebf4e-2765-47d7-86a5-1ede59cd7555) successfully added.